Bookworms, unite! I love books, ebooks, audiobooks — and now with the internet, you can score some deals along the way. Here are some of my favourite sites and tools. Since I spend a lot of time commuting to and from meetings and appointments, at the gym, and cooking, I typically spend it catching up on podcasts. Recently, though, I’ve been giving audiobooks a try! 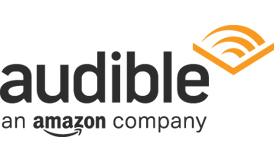 Audible has a great welcome offer which I used in to download Think and Grow Rich by Napoleon Hill. Sign up for your 30-Day Free Trial which includes two free audiobooks of your choice. Choose from over 180,000 books across a wide variety of categories. I’ve been a member of Go Read for the past year and have been enjoying it! Like a Facebook-meets-Amazon, it’s a social network for booklovers and content creators alike. If you’re an author, blogger, entrepreneur, or just passionate about sharing your thoughts, consider joining Go Read as an author. It’s a wonderful way to gain exposure for your brand, and can also amount to a supplemental stream of income if you’re active on the platform. While you can buy pretty much anything from Amazon, it still reigns supreme as the king of online bookstores. Now, with Amazon Prime, you can get super-fast shipping and enjoy benefits such as exclusive access to movies and TV shows, unlimited photo storage and Kindle books. Get Amazon Prime for just $5.99 per month. I have a Kobo eReader and use it when I’m travelling (and don’t want to lug a bunch of books around!) or when I want a book fast. Buy your first book with my link and you’ll get $5 off your first Kobo eBook or audiobook.